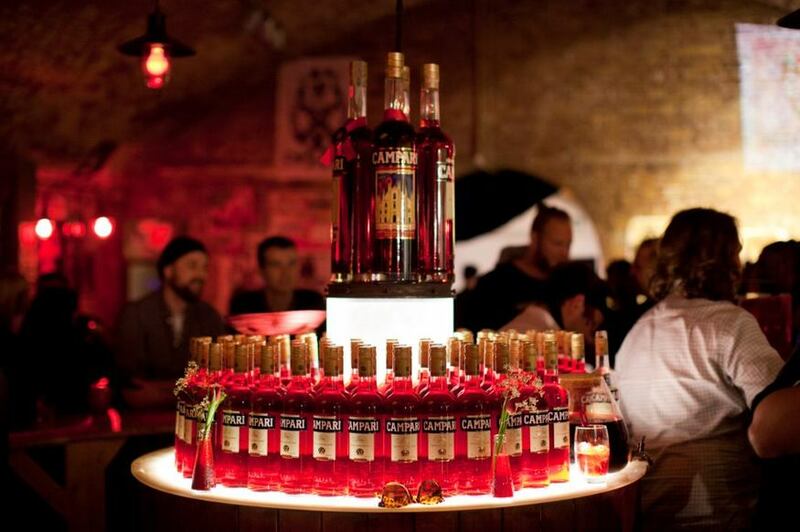 The world's largest negroni bar will open in east London from 11-21 May. Guests will be able to choose from over 30 different combinations and flavours at the bar, which is being opened in collaboration with Campari. The original cocktail was invented by Count Camillo Negroni, when, inspired by a trip to England, he asked a bartender in Florence to replace the soda water in his Americano with gin. The famously bittersweet drink made from one part gin, one part red vermouth and one part Campari has seen a huge resurgence in popularity in recent years. Punters will be able to try classic negronis at the bar, alongside experimental variations. The Carpe Diem Negroni will be made with Cocchi Barolo Chinato fortified wine and Punico Zahare liqueur, and the Tu Vuò Fa’ L’Americano with sweet vermouth and pale ale. Original Campari artwork will also be on display, and there will be prints as prizes for those who can find clues hidden within the bar. The 15 partner bars that will be serving their own bespoke negroni twists for the duration of the pop-up including Casita, The Gibson, Loves Company, Satan’s Whiskers and The Looking Glass. 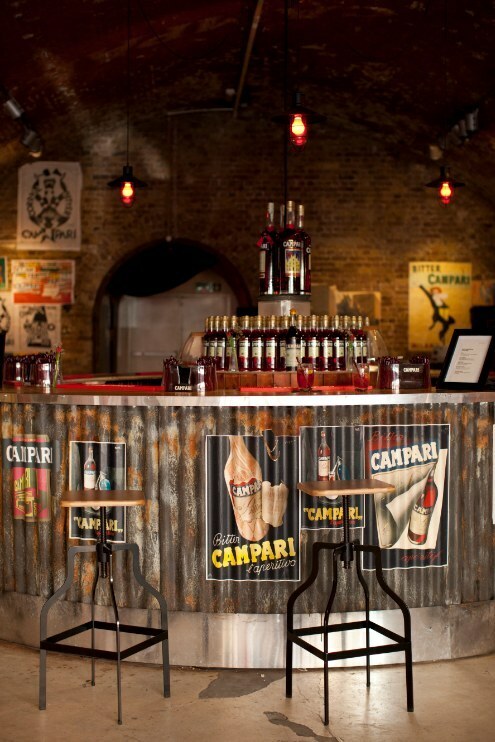 Campari #Rediscovered will pop up for two weeks from 11-21st May at Red Gallery, 1-3 Rivington Street, EC2A 3DT.